The needlework group at Grace Community Church in Virginia Beach, Va. (Fred Devan, pastor) prays over the collection of hand-made hats before sending them to Kings Daughter’s Children’s Hospital for distribution. Brenda Wiggleton at Grace Community Church, a Grace Brethren congregation in Virginia Beach, Va. (Fred Devan, pastor) reports that the women of their church create needlework items as an outreach to their community. “Our latest project has been making Hats for Cancer patients,” she reports. 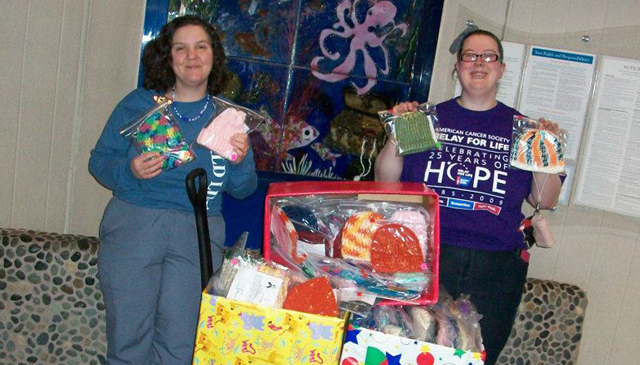 They recently delivered 167 handmade hats for children at Kings Daughter’s Children’s Hospital. “How exciting to see how something so simple as yarn and a needle can be used to glorify our Lord!” she says.